Yes, it's that time of year again! I hate to mention the 'C' word so early but in this case I'll make an exception. The success of the first ever Cruelty Free & Vegan Secret Santa in 2017 was really heartwarming and a little mind blowing all at the same time. I wasn't 100% sure if I would do another one, or if it would become an annual thing, but after asking all of you on social media for your opinions it was a unanimous yes to another one! Before we get started on all of the nitty gritty I'd just like to say a huge thank you to Jessica Woodhouse who designed this years beautiful illustration for the event. I'm sure you'll all agree that she done an amazing job in creating this image for us! Please go and check her out on Instagram and keep her Etsy shop in mind when doing your Christmas shopping this year. Her work is adorable! The rules and logistics are pretty much the same as last year and I really hope some of you who couldn't take part last year will be able to join us this time round. You must be a cruelty free and / or vegan blogger / influencer / vlogger / YouTuber or creator to take part. To take part you would need to email me your name, address, blog / website / YouTube link, social media handles and any allergies by the deadline of November 1st 2018 (*Your details will only be shared with your Secret Santa!). This Secret Santa is open to UK residents only. 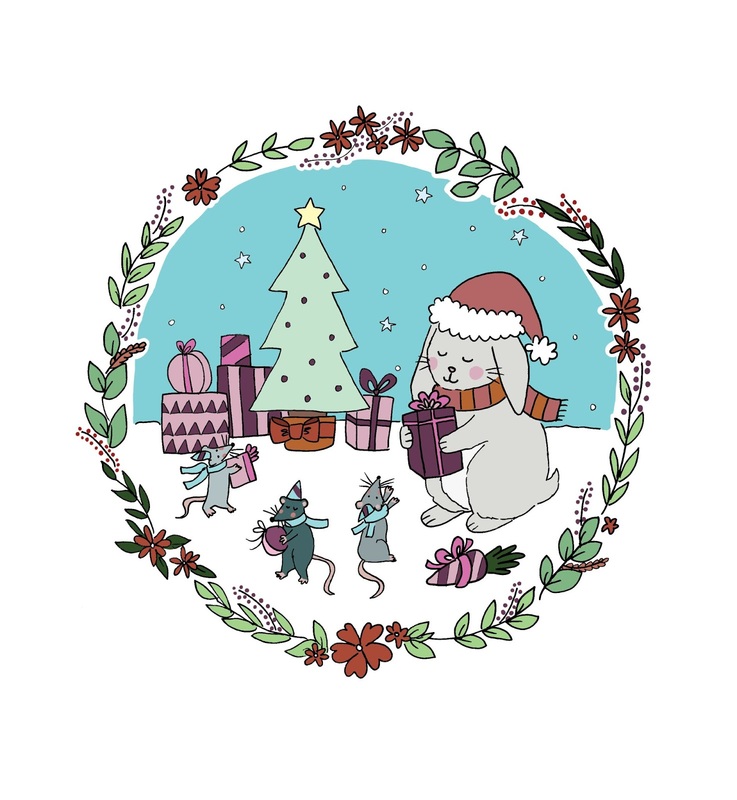 You will receive an email with your giftee's details on November 5th 2018. Packages MUST be sent off in the post by no later than December 1st 2018. Have fun with it and get creative! You may like to bake up some festive treats to include in your package, or if you have some crafty fingers why not include a handmade surprise!? You could include a letter with clues as to who you may be or even a postcard from your home town. Or you could add even more mystery by including a polaroid of yourself dressed up as Santa like I did last year! Do some digging around on social media to find out what your giftee is into and make their package personal to them. And remember - the more festive the better! You're free to open your package as soon as it arrives, or hold off until Christmas Day. The choice is yours. All I ask is that you announce on social media once your package has arrived so as to set your senders mind at rest. Don't forget to share your Secret Santa gifts on social media and use the hashtag #CFVSECRETSANTA . If, like me, you do YouTube or Insta stories then maybe do a little unboxing video too! I am sure everyone will be excited to see what we have all received.